JINJA – Reports reaching this website indicate that the Police in Jinja have stopped Bobi Wine from holding a concert he was scheduled to host on Saturday, December 15. 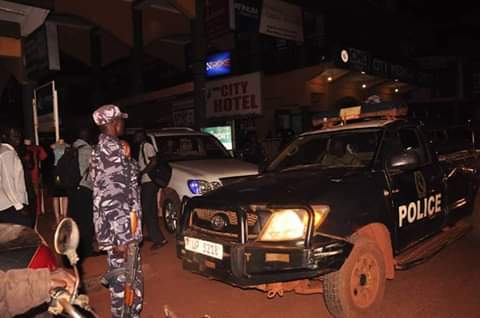 On his social media Platforms, Bobi Wine claims that the police raided the Hotel he and his team were camping in and ordered him out of the town. Earlier today, Bobi Wine arrived in Jinja amidst crowds that awaited him ahead of a concert he was going to perform at. “We arrived in Jinja in broad daylight to a massive and peaceful reception by our friends,” Bobi Wine’s twitter account claims. 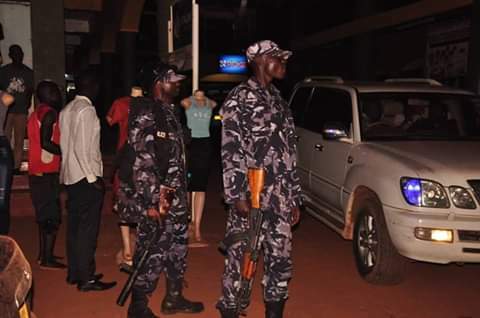 According to the Kyadondo East MP’s social media account, Police surrounded City Hotel in Jinja where he was staying and arrested members of his team in search of him. The reports continue with claims that the police ordered the Musician and his team out of Jinja. Bobi Wine’s Facebook account emphasizes that the police further escorted his team to Lugazi after some were beaten, put on Police trucks and taken to unknown destinations. The Police has not yet made a comment about these claims. This comes just a few days after Bobi Wine during an interview on one of the local TV stations said that the police are targeting him as an individual because as other artistes are working in this period, he’s suffering.